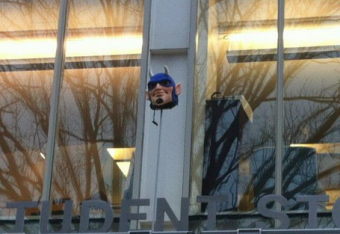 The head of Duke's Blue Devil mascot was stolen and placed on a pole – Game of Thrones style – above a University of North Carolina campus store prior to the teams' Wednesday night showdown in Durham - the latest prank in a long-running battle between the Tobacco Road rivals. 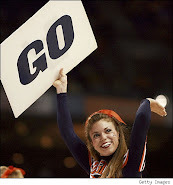 Mark Armstrong of WTVS in Raleigh/Durham says Duke confirmed one of its mascot heads is gone but the school has a spare. Last year, Duke students dressed Chapel Hill's famous "Silent Sam" statue in a variety of Blue Devils gear. His head, mercifully, remained intact.